With over 400 yachts built since 1998, we never compromise on safety, grace, efficiency, strength and comfort. Thus, we have earned an enviable reputation as one of the world’s top boat builders. Since 1998, Selene Yachts has been exceeding the expectations of current and past owners. We design and build dreamboats in our in-house factories, from the first drum of resin to the upholstery of the salon! Thus, we are proud to present this stunning range of Selene Yacht with models ranging up to 120′. Designed with the discerning yachtsman in mind, we feature the timeless designs and solid construction. 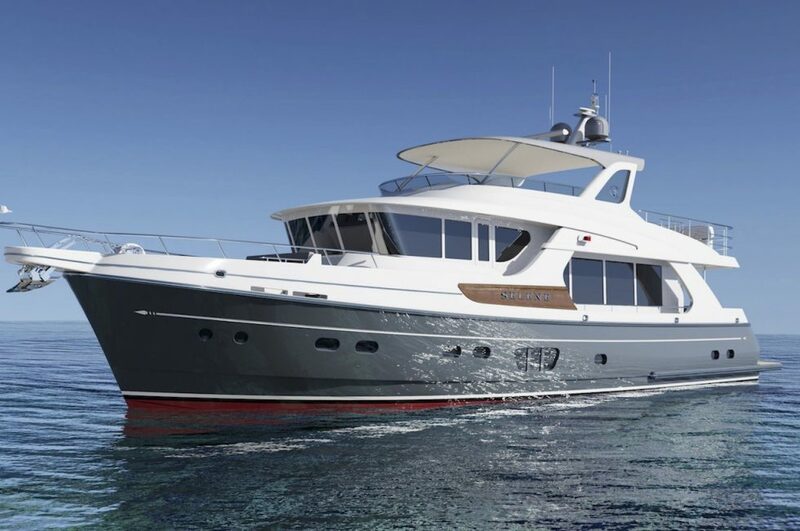 Selene yachts are not production boats, but semi-custom, handcrafted, solid vessels that are available to you at comparable production boat pricing. We look forward to introducing you to a timeless first class luxury yacht!